Alley Taps to Host Independent Artist Showcase During CMA Fest! 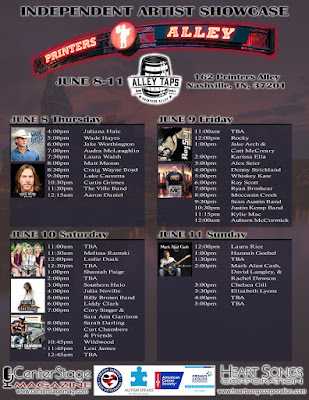 Center Stage Magazine and Heart Songs Corporation will present an independent country music artist showcase daily from June 8th through June 11th. Over 50 artists are set to take the Alley Taps Stage at 162 Printers Alley during the 2017 CMA Music Festival! 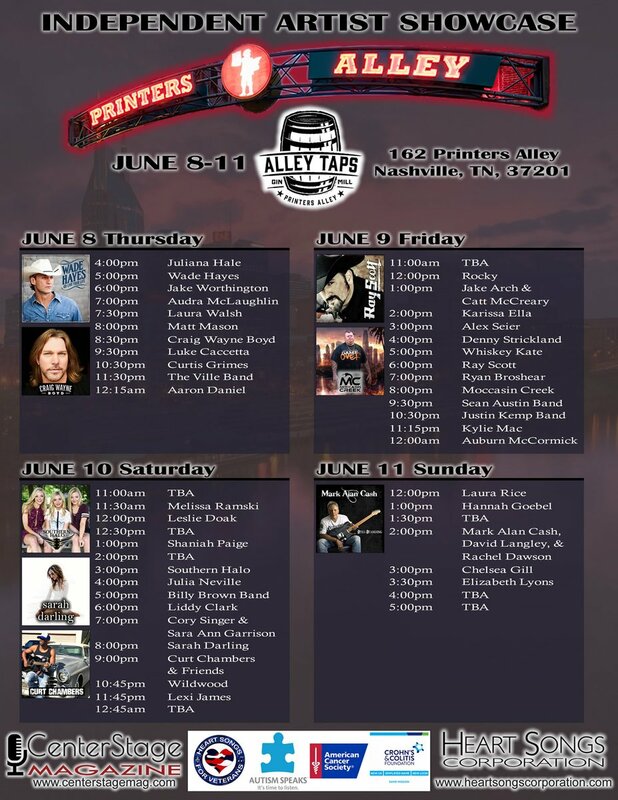 Wade Hayes and Craig Wayne Boyd will play on Thursday and Ray Scott will perform on Friday! Click the above picture for the lineup!